Lapels Dry Cleaning, an innovative, environmentally friendly dry cleaning company headquartered in Hanover, Massachusetts, opened a store in Wilmington Crossing at 209 Main Street in Wilmington on November 21. Lapels Dry Cleaning of Wilmington Center is the former location of The Cleaner Spot and represents the second Lapels Dry Cleaning in Wilmington, the other being located at 296 Shawsheen Avenue. Lapels has pioneered its eco-friendly dry cleaning experience over the past 18 years. Part of that effort includes a partnership agreement with GreenEarth®, the dry cleaning industry’s only non-toxic cleaning alternative, for its newer locations like Lapels Dry Cleaning of Wilmington Center. 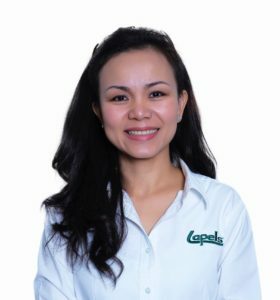 Using these kinds of solutions and the latest technology in equipment, Lapels is one of the few dry cleaners able to boast that there is no hazardous waste in their process. Their environmentally-friendly cleaning process has no odor and is gentler on clothes, thus lengthening the life of clothes. Additionally, Nguyen’s two locations—Lapels Dry Cleaning of North Andover and Lapels Dry Cleaning of Wilmington Center—will offer tuxedo rentals. Hours at Lapels Dry Cleaning of Wilmington Center are Monday through Friday, 7 am to 7 pm; Saturday 8 am to 5 pm; and Sunday, 12 pm to 3 pm.